Make no mistake – this Tory Government isn’t here to end poverty but to rebrand it. Perhaps never before has this country been ruled by a party so image obsessed and PR driven. As they plough on with austerity, as much energy is expended on how policies look as how they actually affect people. In the latest branding of austerity, the Department of Work and Pensions (DWP) has unveiled a fluffy mascot. 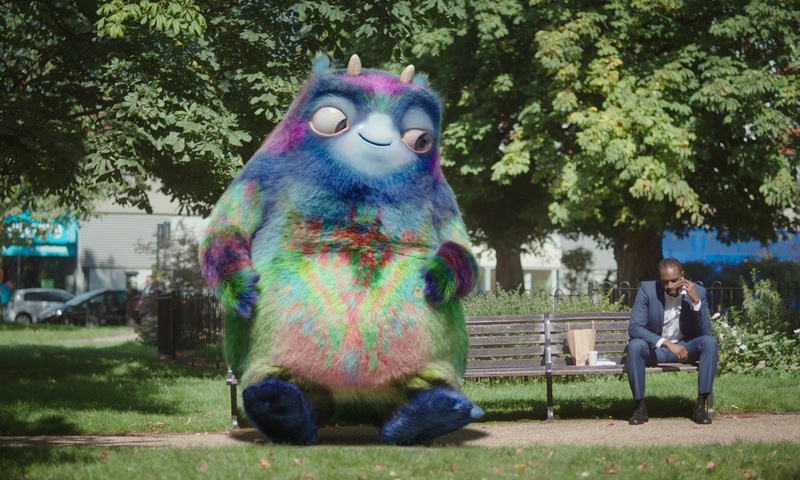 Called “Workie”, the multi-coloured cuddly creature bumbles around Britain beaming at pugs and wondering why people don’t care enough about pensions. It made its first appearance on the DWP’s Twitter feed yesterday, before airing on TV last night during an ad break between Coronation St and Emmerdale. Astonishingly, “Workie” cost £ 8.45 million to commission. Leaving aside the patronising and infantalising suggestion that grown adults need a fuzzy creature to alert their attention to pension policies, the mascot is an extraordinary extravagance from a Governemtn department that has been punishing people for not living within their means. The mascot’s £8.45 million price tag could have equated to 18,813 people being taken out of the bedroom tax, 1,725 young people receiving housing benefit for a year or 448 disabled people being able to live independently rather than in care for a year. “Workie” lays bare the government’s hollow rhetoric that “we’re all in it together” in austerity Britain. The DWP justifies its cruel sanctions on vulnerable people by insisting that every penny of tax payers’ money is precious and would be wasted on helping those in poverty within our own country. Yet this latest campaign reveals that there is no “one nation” under the Tories but rather austerity for some (the unemployed, disabled people, working class people) and mindless extravagance for others (PR ad executives and government officials). The DWPs rebranding mission started in earnest when it was revealed that the Tories were seeking to redefine the definition of “child poverty” in response to the Children’s Commissioner’s warning that a million more children will be pushed into poverty by their austerity policies. The underhand attempt to simply tweak the definition revealed a party more concerned about damning headlines that damaging children’s lives. Then it was revealed that Iain Duncan Smith’s Department of Work and Pensions had invented fake benefits claimants to praise the government on their leaflets and brochures. While people were starving from benefits sanctions, the pretend benefits claimants beamed about how “pleased” they were that the department had inspired them to work by cutting their payments. In a sense, the government’s devotion to putting PR spin on policies is perfectly logical. As they implement more and more inexcusably ruthless cuts against vulnerable people, they have to counteract reality with pleasant advertising in a bid to divert attention from the devastation their policies are causing. However, on top of all their previous efforts, such glossy ad campaigns and furry creatures are simply superficial attempts to mask the reality of what the Government is doing to this country and represent nothing more than a distorting veneer on poverty and inequality. This entry was posted in DWP and tagged austerity, dwp, Public Relations, Siobhan Fenton, Tommy Roe, workie, workplace pensions. Bookmark the permalink. 1 Response to I’m so dizzy, my head is spinning!